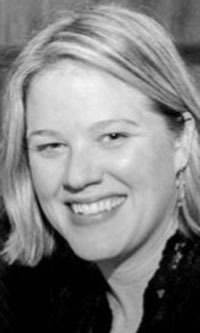 Anne Gay Donworth, CFRM serves as Development Officer for Lexington Public Library, where she is part of the Library's senior leadership team in addition to orchestrating a comprehensive fundraising program on its behalf. She is committed to helping make her library system, and thus her community, a better place for everyone to learn, play, and grow, with a special interest in creating dynamic public spaces to bring neighbors together. She is a graduate of the University of Virginia and Leadership Lexington, an active member of the Rotary Club of Lexington and Good Shepherd Episcopal Church, and currently serves on the Downtown Lexington Partnership Advisory Board, Lexington Parks & Recreation Advisory Board, Good Shepherd Day School Board, and Lexington’s On The Table planning committee. She and her husband, Richie, founded Scarteen Stud, an equine breeding and boarding operation, in 2014 while raising their two young daughters.